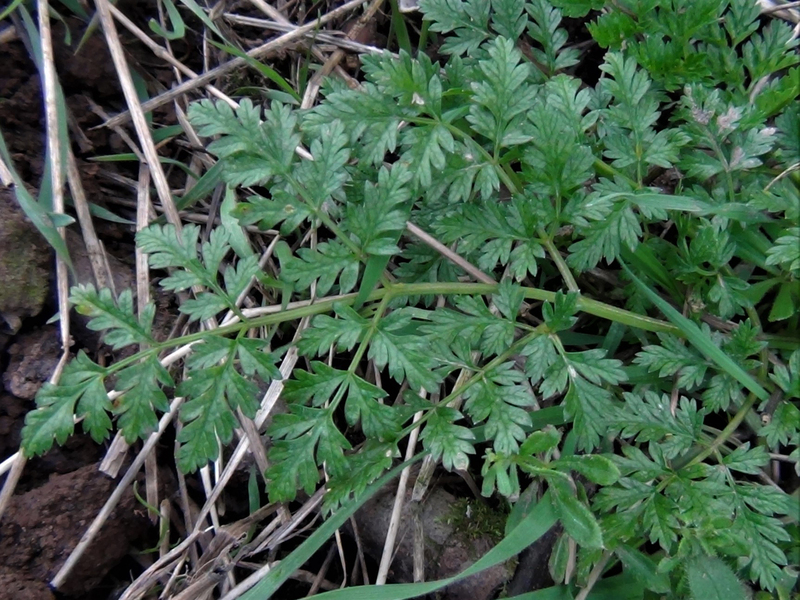 Wild chervil is much more successful at spreading using rhizomes (lateral roots) than by seed dispersal. 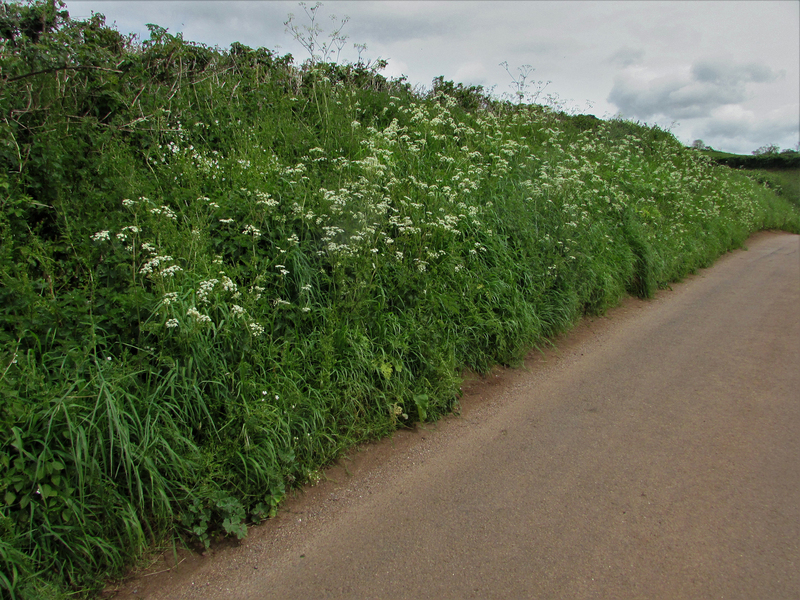 This plant is very invasive and can be a real problem for arable farmers as well as taking over roadside verges and hedgerow bases. 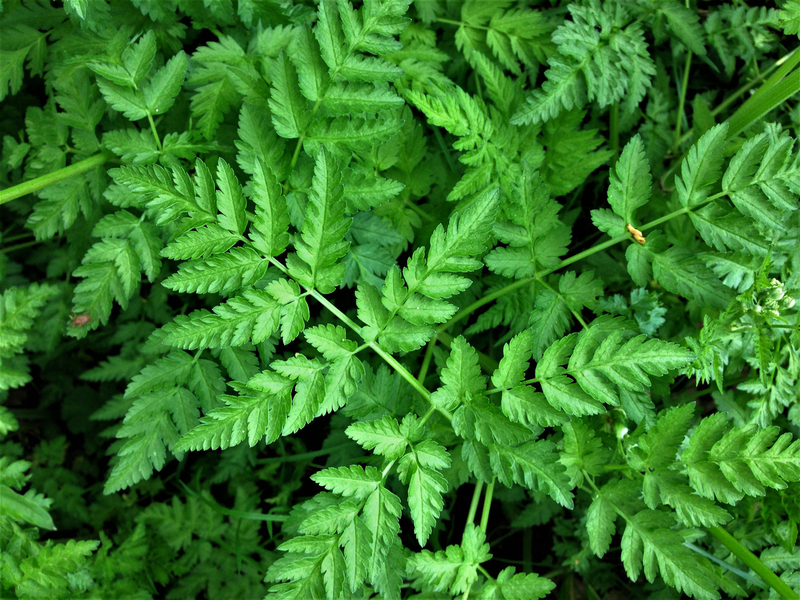 Fern like and a bit like flat leaved parsley. 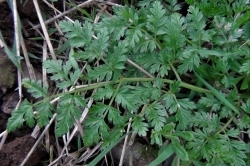 Can be slightly curled and hairy, pinnate and rough to the touch. 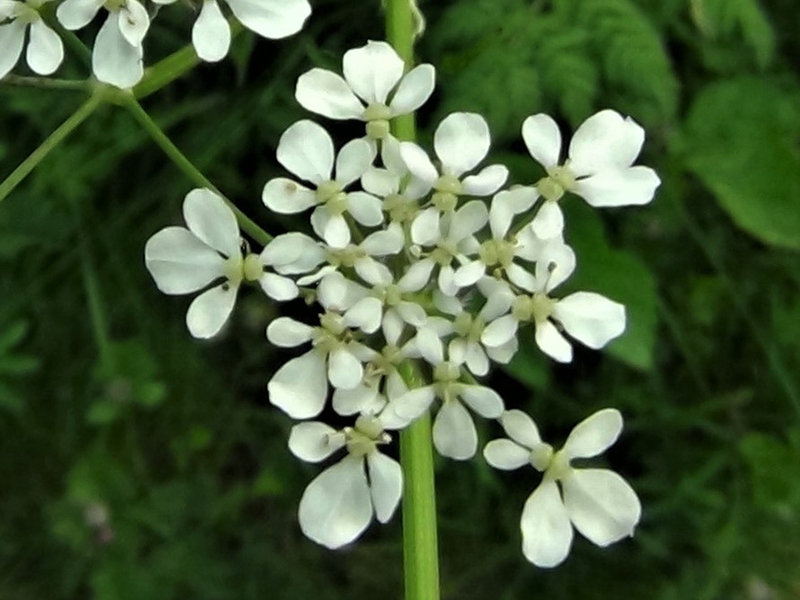 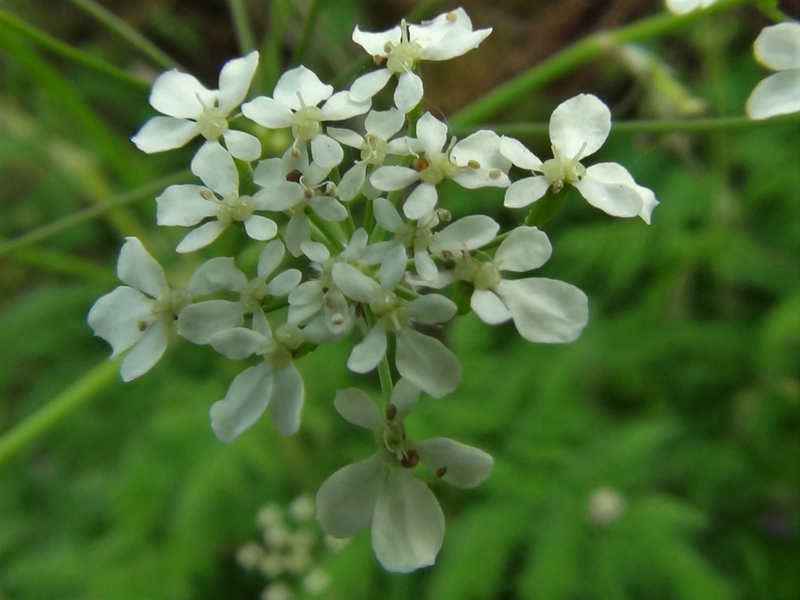 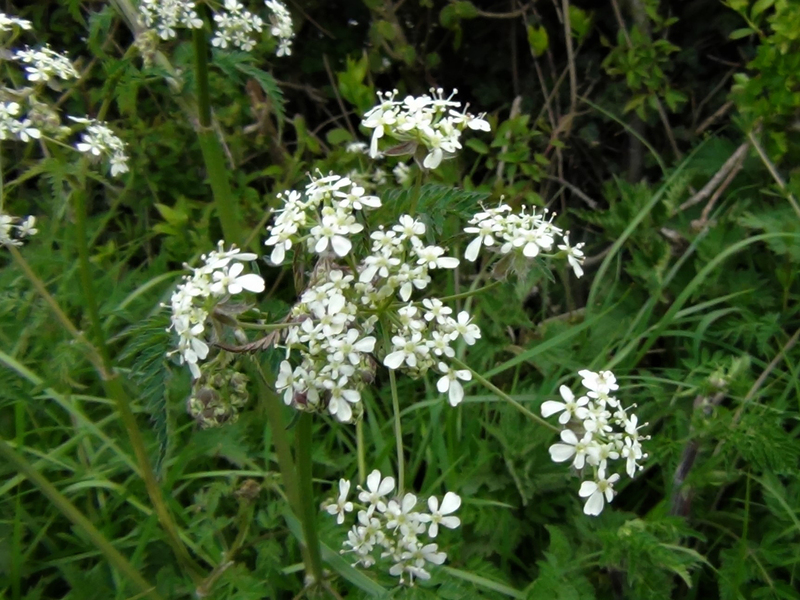 Small white flowers forming small umbels from April to June. 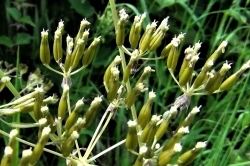 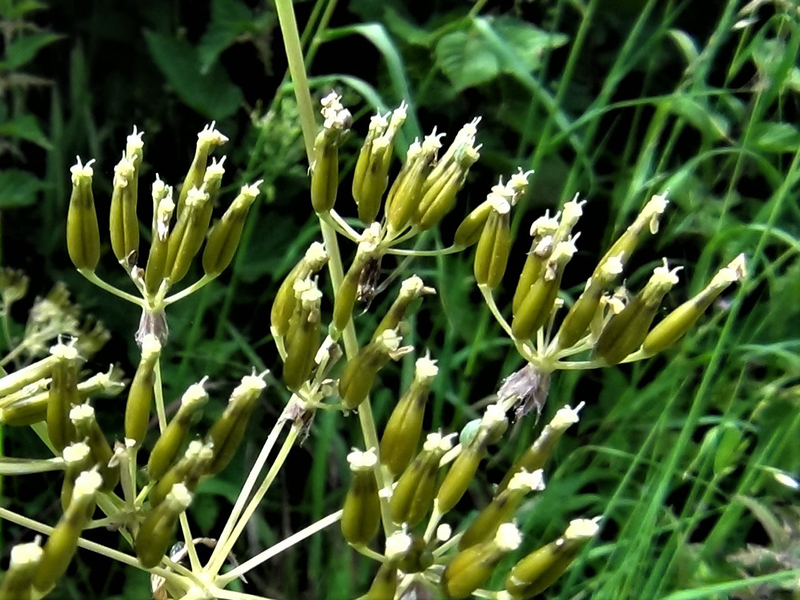 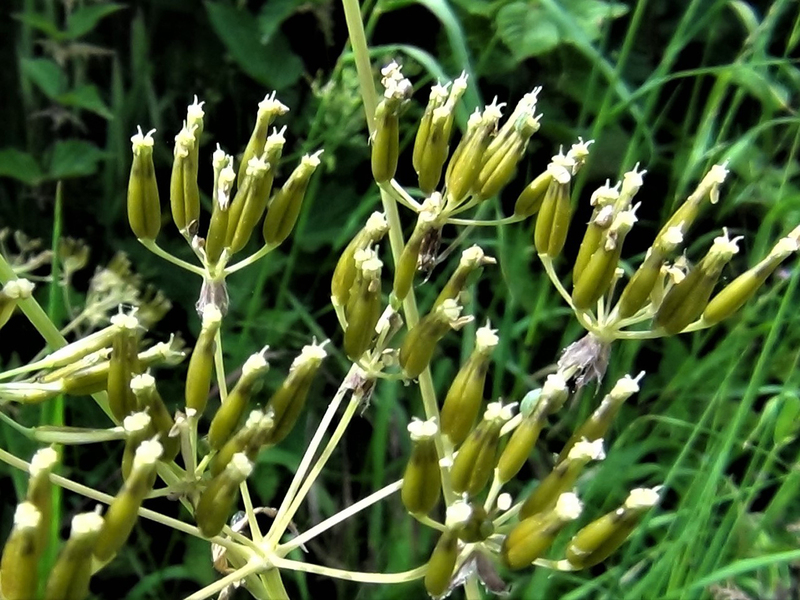 Many seeds on the ends of the umbels. 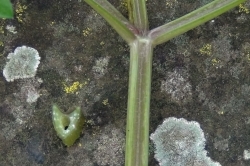 The branching leaf stems have a notch running down them, rather like celery. 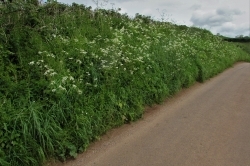 Roadsides, wood edges, field boundries, hedges and waste ground. 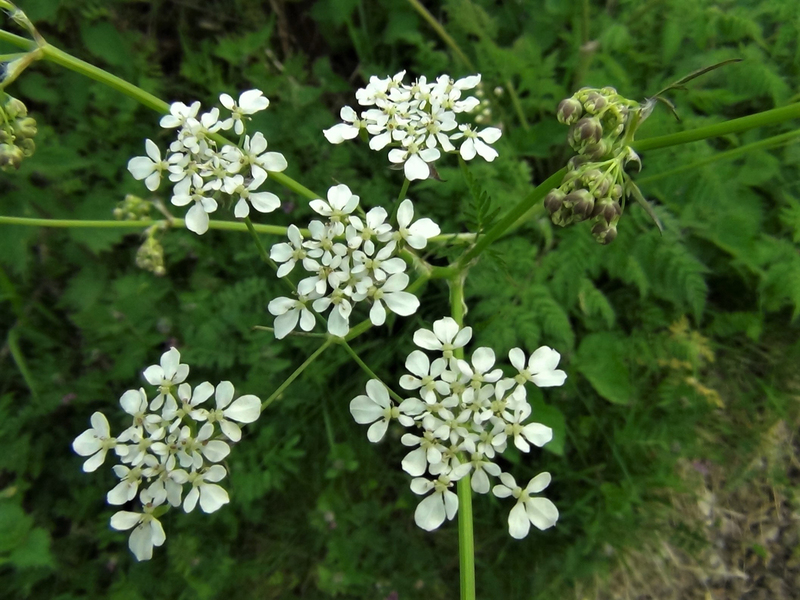 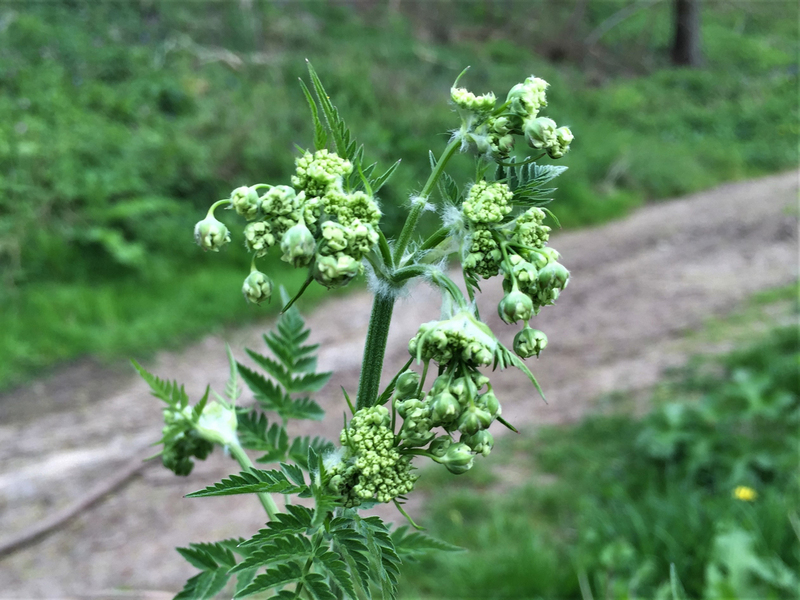 Many poisonous umbellifers like young Hemlock, Fools Parsley, Hemlock Water Dropwort and a couple of others. 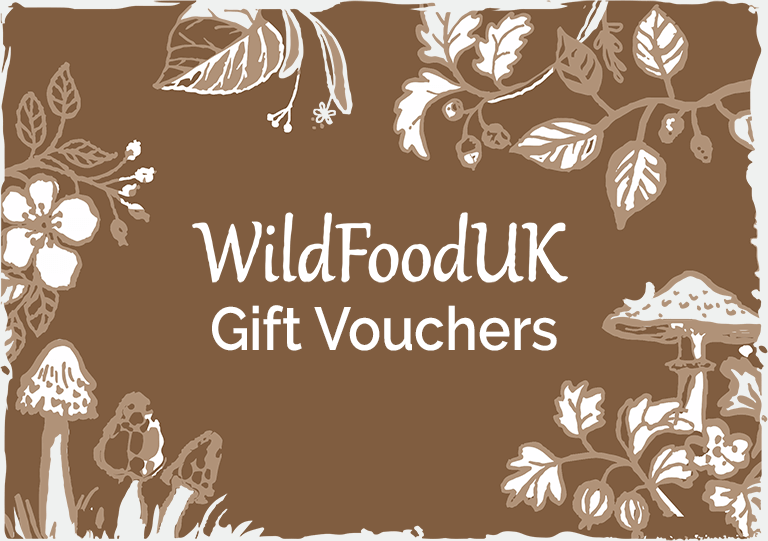 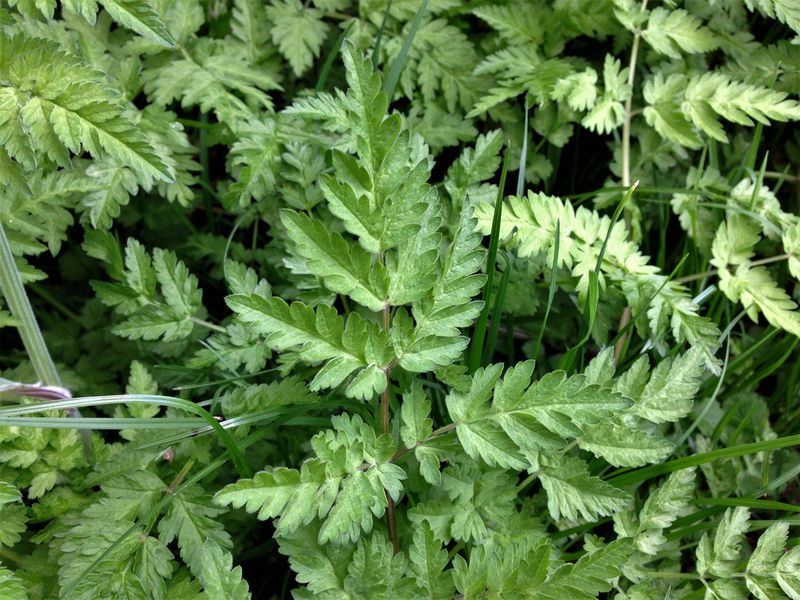 We don’t use Wild Chervil as its taste doesn’t warrant the risk of confusing it with other deadly members of its family. 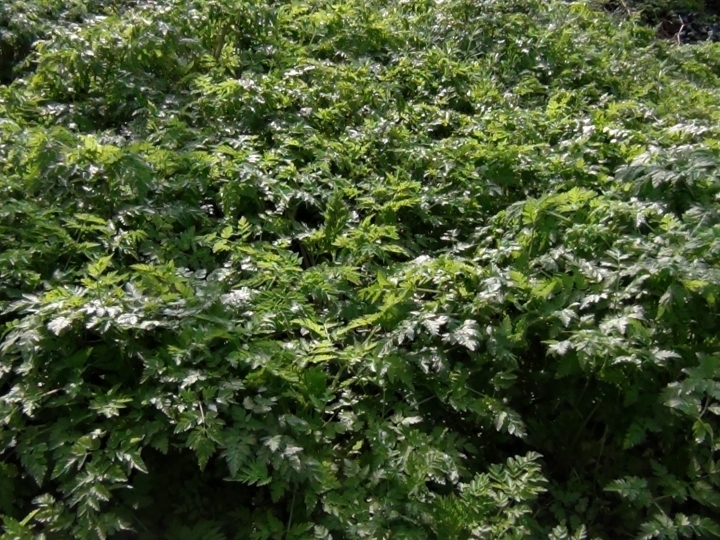 If you want to pick a parsley flavoured plant we recommend sticking to Ground Elder! 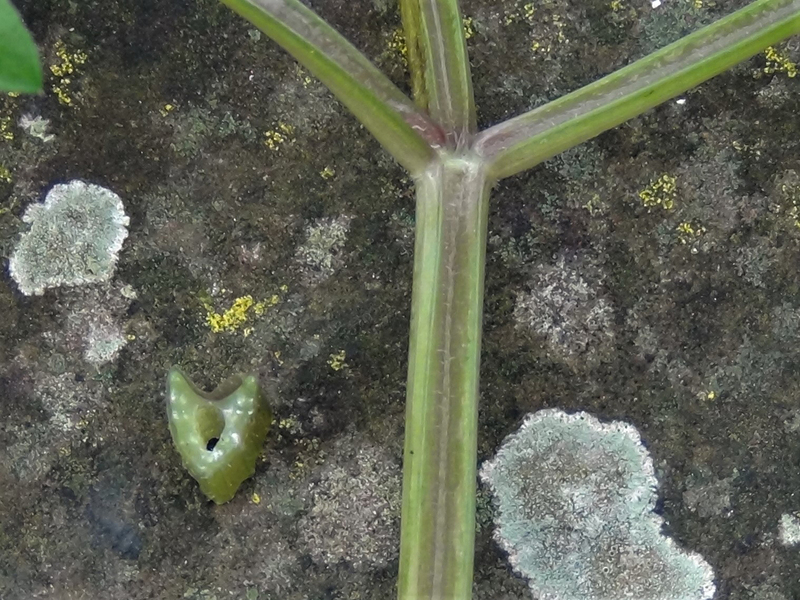 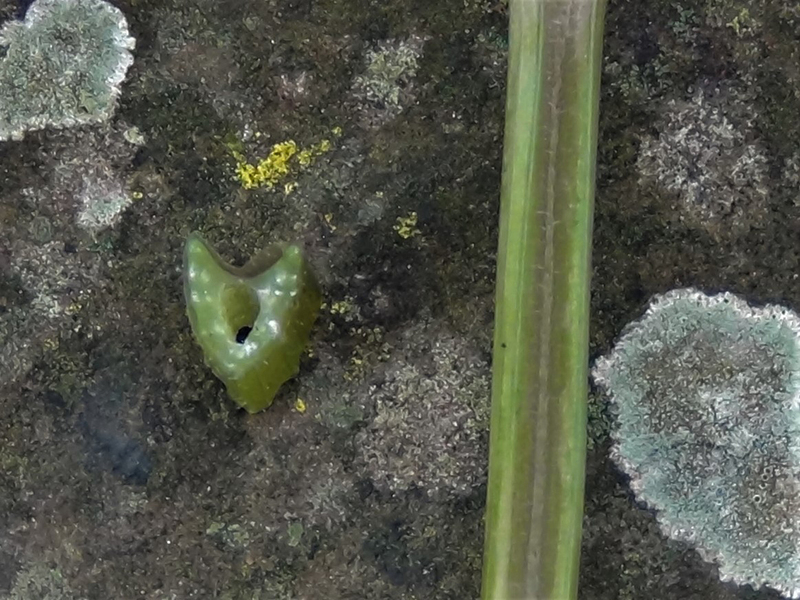 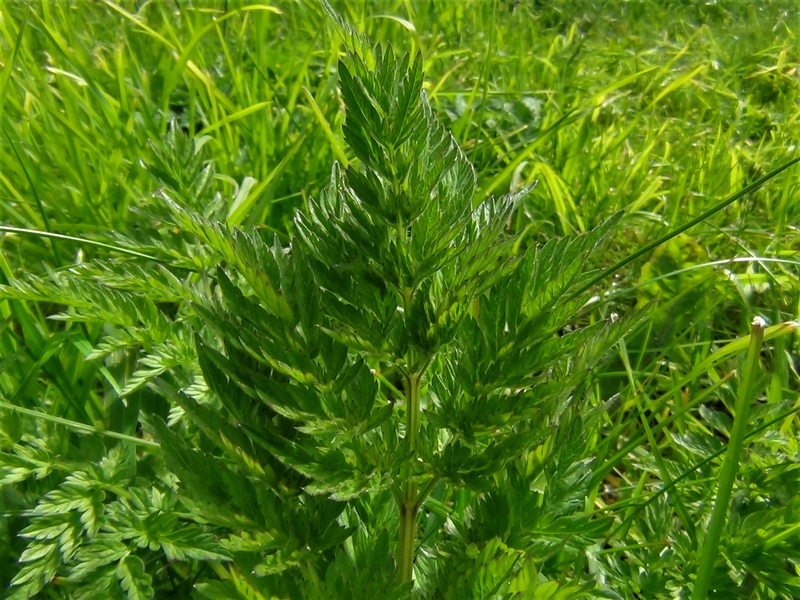 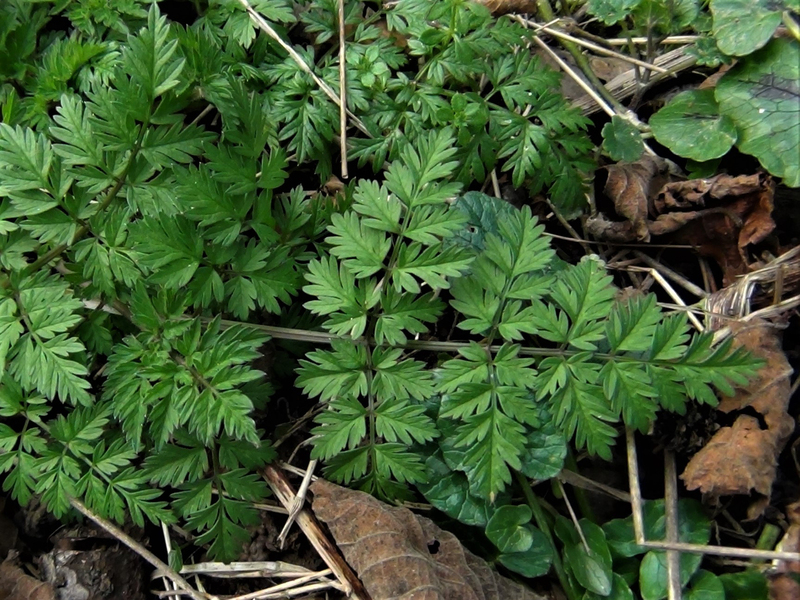 The adjacent picture is showing a Hemlock leaf. 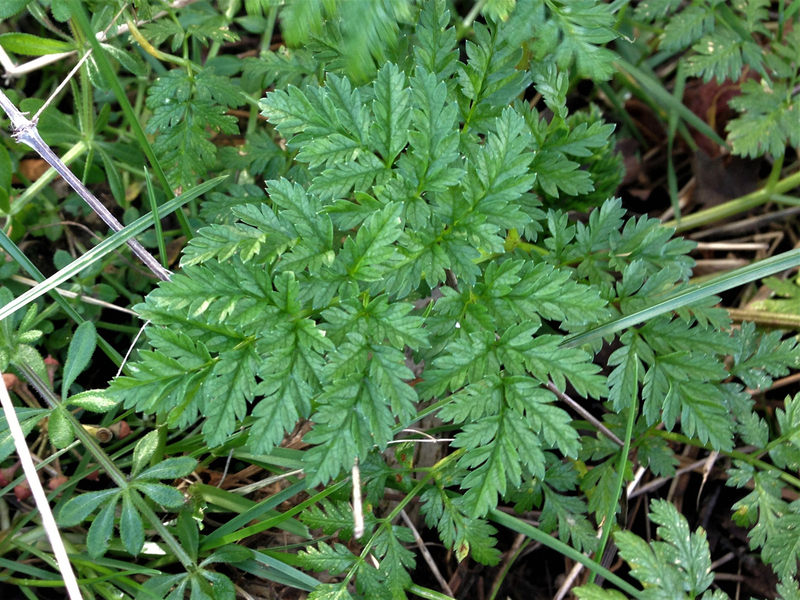 A bit like parsley, mildly sweet. 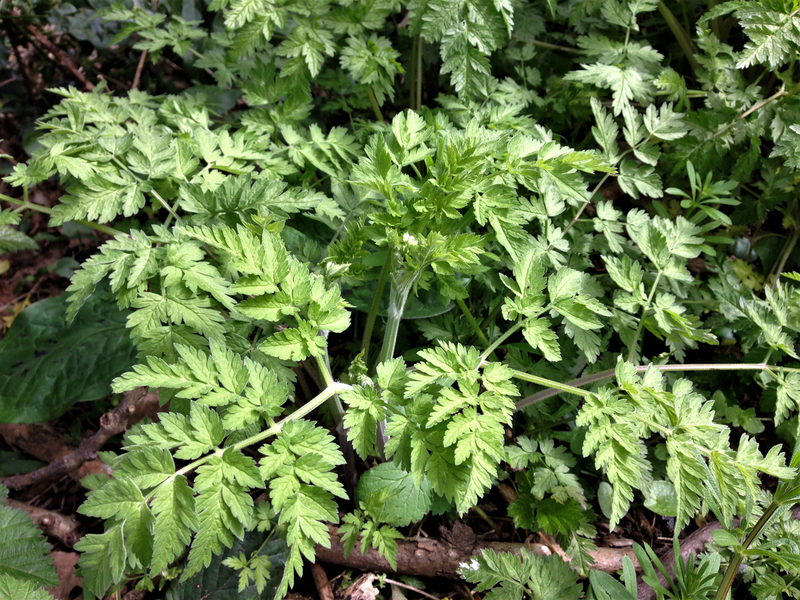 Like mild parsley with a slight licorice or aniseed hint. 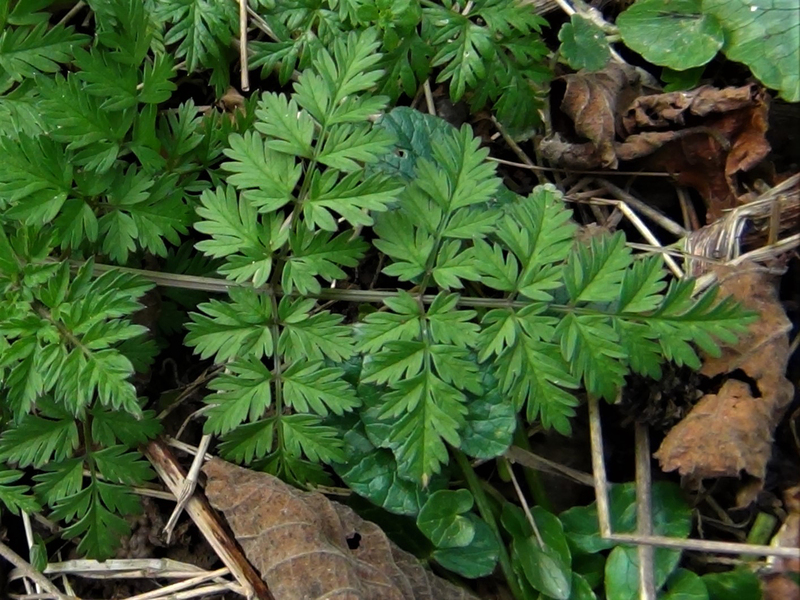 The leaves are one of the first to emerge after a severe winter, otherwise they continue to grow all year. 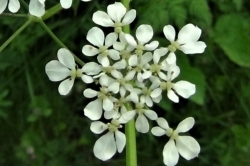 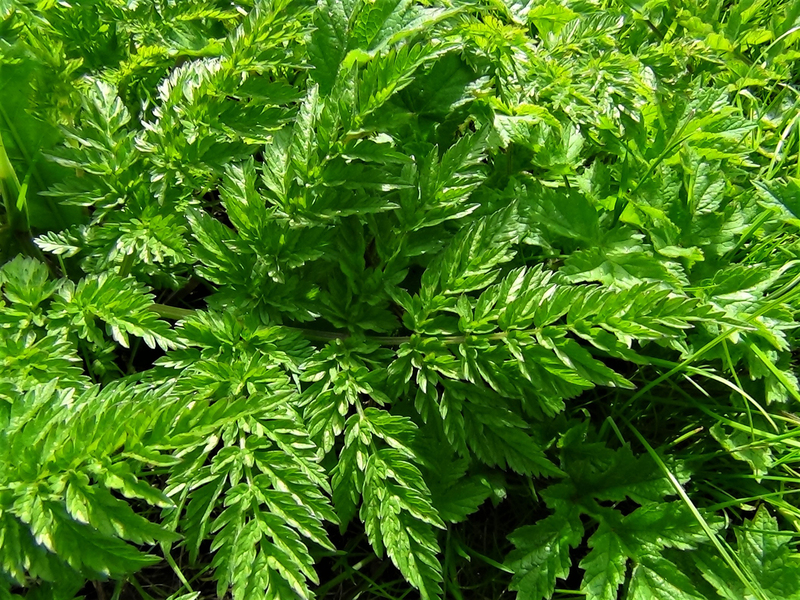 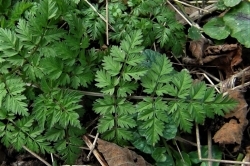 Chervil has been used in various folk medicines. 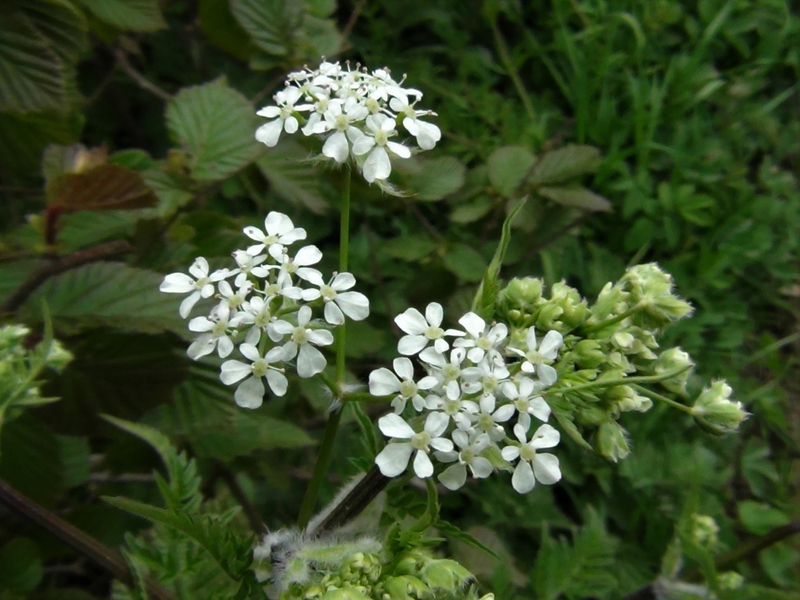 It was claimed to be useful as a digestive aid and for lowering high blood pressure.